The Rice Board of Trustees recently recognized the staff of the Oshman Engineering Design Kitchen (OEDK) for 10 years of providing transformative undergraduate education, a tenant of the university’s Vision for the Second Century, Second Decade (V2C2). Honored for their impact at the board’s Feb. 28 meeting were Amy Kavalewitz, executive director; Danny Blacker, engineering design supervisor; Marilee Dizon, department administrator; Fernando Cruz, engineering design technician; Sukaina Ahmed, accounting specialist; Lea Aden Lueck, engineering design coordinator; and Sondra Hernandez, purchasing assistant. The Department of Mechanical Engineering’s Joe Gesenhues, department technician and shop manager, was also recognized for providing invaluable assistance to OEDK teams. Maria Oden, director of the OEDK and a full teaching professor of bioengineering, commended the staff for making the kitchen a success for the more than 1,200 students who use it annually. “This group of people is willing to put in their all, go the extra mile, work as a well-oiled team – all for the benefit of Rice, our students and our faculty,” Oden said. The world’s first design kitchen, the OEDK was established in a building that was literally Rice’s campus kitchen, before separate serveries fed the residential colleges. The OEDK facility fosters collaboration between Rice students and industry professionals, physicians at the Texas Medical Center and globally, and entrepreneurs and community partners developing solutions to problems with potential societal impact. “When our students receive their dream jobs at SpaceX, Tesla, GE Healthcare … or are accepted into their dream graduate school and they tell us the main topic of their interview was the projects and experiences at OEDK, we can point to these staff members for making that possible,” Oden said. OEDK is turning 10 and we are having a big party! Mark your calendars for a very special day! 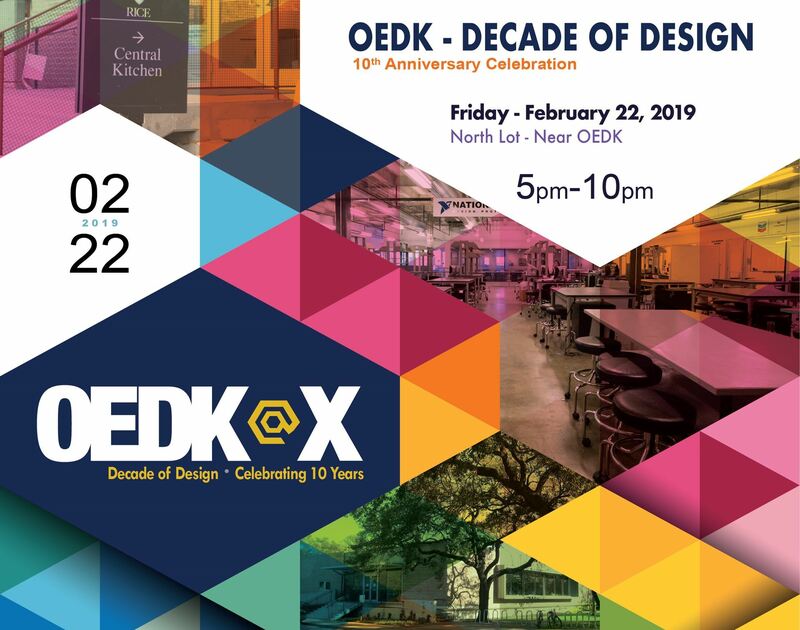 The OEDK will be turning 10 and we are going to celebrate BIG! Team Växthus — mechanical engineering students Mary Bao, Mike Hua, Jack Kaplan, Harrison Lin and Colin Losey and electrical engineering student Lingbo Chen – has developed an automated, modular, indoor greenhouse to provide high-throughput food growth aimed at young professionals in urban settings. New software designed by Rice University students working in the Oshman Engineering Design Kitchen and Liu Idea Lab for Innovation and Entrepreneurship (Lilie) can provide automated sports analytics in an hour. From left: Christine Luk, Rachel Lambert, Sonia Parra and Elizabeth Stone. 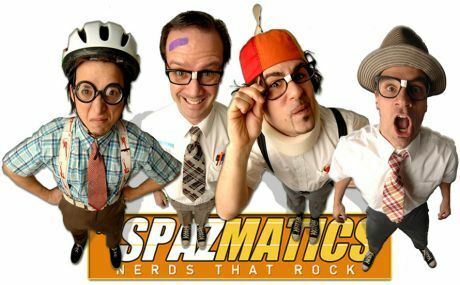 Photo credit: Jeff Fitlow. Cervical cancer kills close to 300,000 women per year worldwide, with approximately 85 percent of these deaths occurring in developing countries. Rice students Christine Luk, Elizabeth Stone and Rachel Lambert are senior design students enrolled in the course Global Health Design. Together with graduate student Sonia Parra, they developed a low-cost, interactive training model that mimics a woman’s pelvic region and can be used to practice different cervical cancer screening and treatment procedures. The training model, which was developed at Rice’s Oshman Engineering Design Kitchen (OEDK) and was based on models developed by other teams of students over the past few years (including Christine Diaz ’17, current Rice students Caroline Brigham, Theresa Sonka and Karen Vasquez, and Malawi Polytechnic students Waheed Mia and Mary Mnewa) was created in collaboration with the Rice 360° Institute for Global Health and the University of Texas MD Anderson Cancer Center.